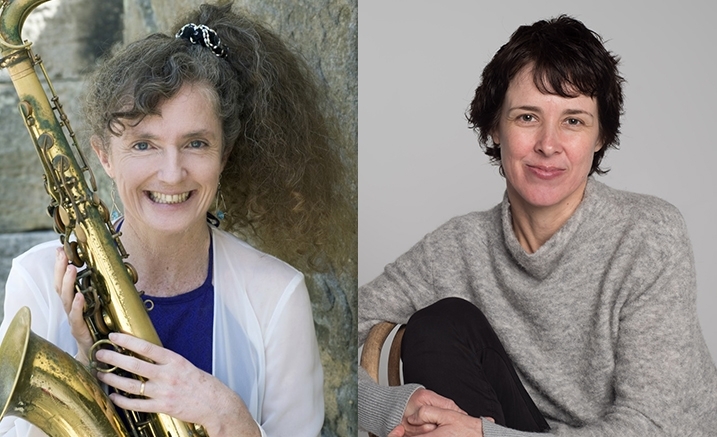 A rare opportunity to experience the enthralling improvisations and compositions of two of Australia’s leading female jazz musicians. Growing up in Sydney in the 80’s, Andrea Keller immersed herself in the sounds of the vibrant and thriving jazz scene, of which Evans was a key figure. Awed by the power of her sound, the raw energy in her playing, and her unapologetic approach to improvisation, Evans’ music has had an immeasurable effect on Keller. Since the late 90’s Evans and Keller have performed together intermittently in various collaborations, including the Melbourne Women’s International Jazz Festival Sextet, and most recently when Keller appeared as special guest with the Sandy Evans Trio at Stonnington Jazz Festival. This, their first concert in an intimate duo setting, promises to be a highlight.